Created by aquatic experts and field-tested at YMCAs across the nation, YMCA Swim Lessons stresses a developmental approach that's based on current research in child development, pedagogy, motor learning, and motor control. It involves students actively in the learning process, guiding each child through a process of individual exploration that's conducted in a student-centered, caring atmosphere. 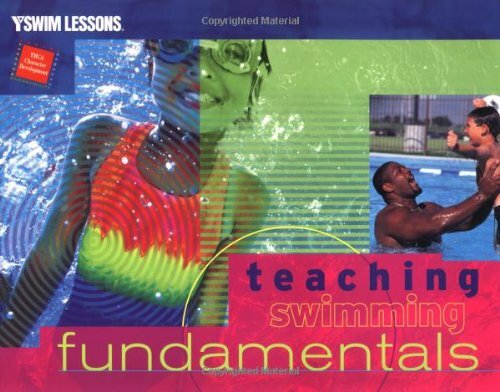 Teaching Swimming Fundamentals outlines your responsibilities as a swim instructor and provides the basic knowledge you need to teach aquatics. It helps you understand how children learn, then gives you step-by-step instructions to help you put this knowledge to use. Teaching Swimming Fundamentals provides detailed analyses, clear illustrations, and stroke observation sheets for each basic stroke. You'll learn the normal progression of movement for children in learning strokes as they grow up. The book also covers 11 basic physics principles that apply to stroke development, and gives you sample lessons that explain these principles to students.